BOCA RATON, Fla.—Alex Katz: People & Places is now on view through April 7 in Rosenbaum Contemporary’s Boca Raton gallery, 150 Yamato Road, Boca Raton, Fla.
Alex Katz: People & Places, which complements the Alex Katz: Small Paintings exhibition on view at the Boca Raton Museum of Art, includes small and large paintings as well as limited edition prints of the portraits and landscapes that Katz is known for. Of particular note is a work from 1946 which Katz painted during his student days at Cooper Union in New York where he studied under Morris Kantor. Katz’s work has been the subject of more than 200 solo exhibitions and can be found in public collections throughout the world. He is known for his painterly style which falls between abstraction and realism as well as for the flattened appearance of his portraits of friends and family members which are done from a frontal perspective. 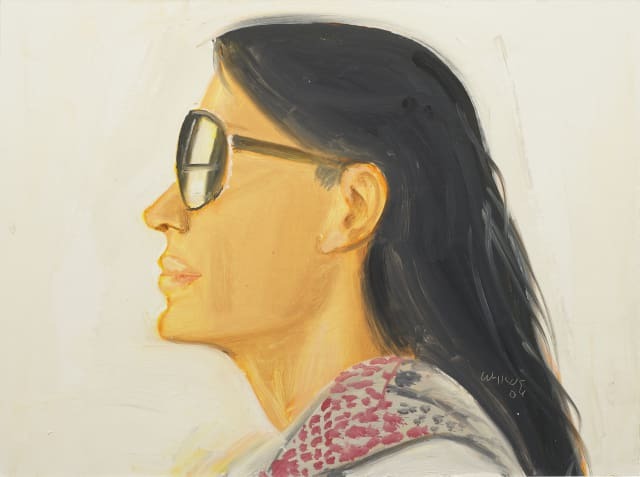 The Alex Katz: People & Places exhibition provides an opportunity for collectors to own works by this iconic American artist.